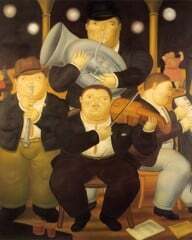 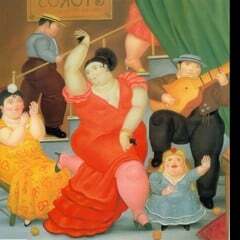 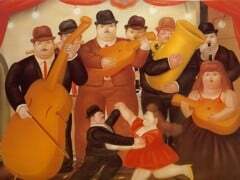 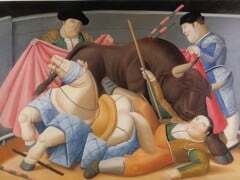 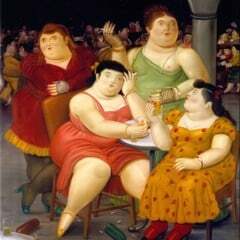 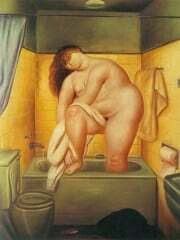 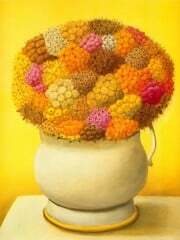 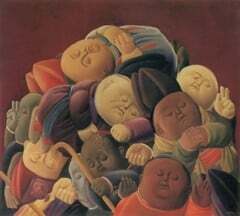 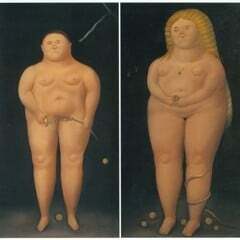 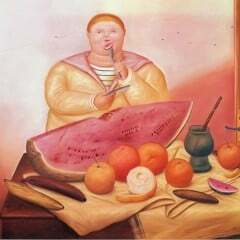 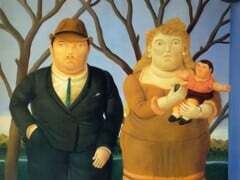 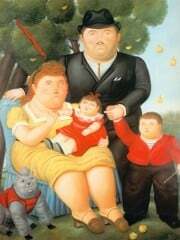 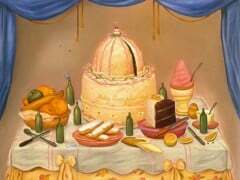 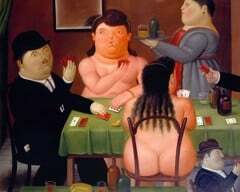 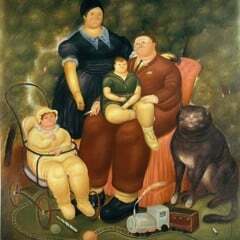 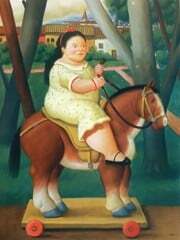 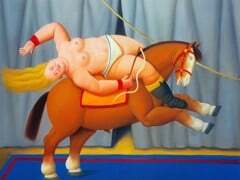 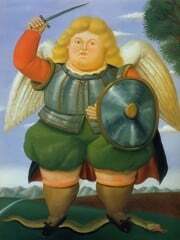 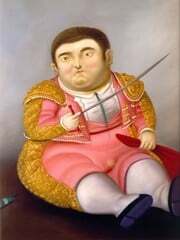 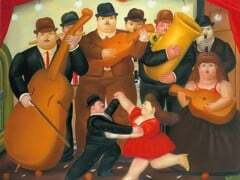 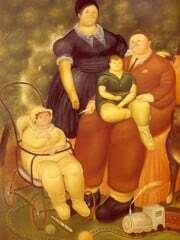 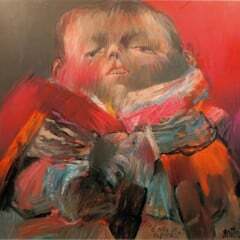 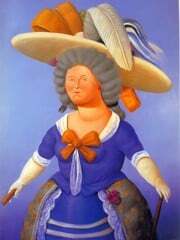 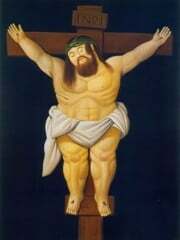 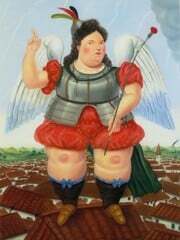 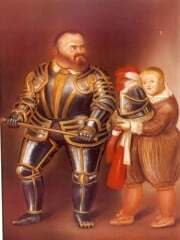 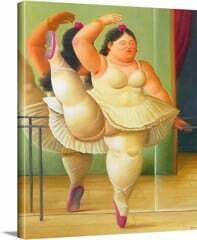 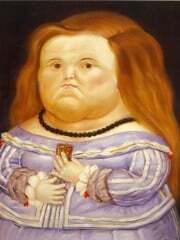 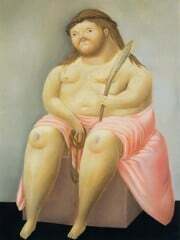 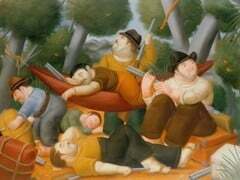 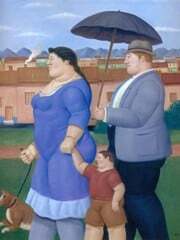 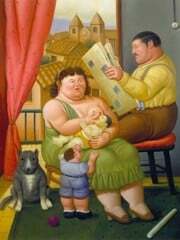 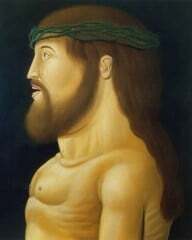 Fernando Botero Angulo (born Aprit 19, 1932) is a Colombian figurative artist and sculptor. 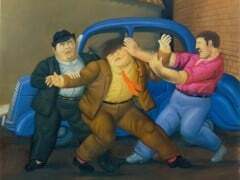 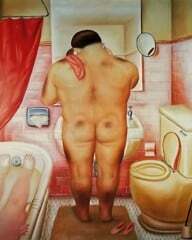 Born in Medellín, his signature style, also known as "Boterismo", depicts people and figures in large, exaggerated volume, which can represent political criticism or humor, depending on the piece. 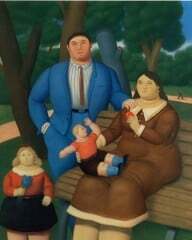 When you start a painting, it is somewhat outside you. 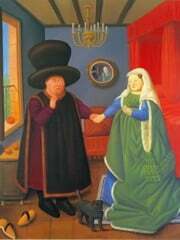 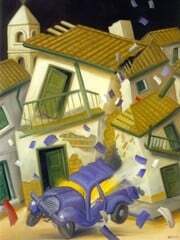 At the conclusion, you seem to move inside the painting. 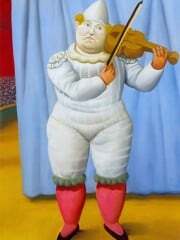 Art is a spiritual, immaterial respite from the hardships of life.